A lot of people think my actual name is Charlene Chronicles. It is not! Rather, I am Charlene DeLoach and I chronicle my fun finds, experiences and activities here at CharleneChronicles.com. Learn more about my story, stay and read, follow my social channels or sign up for my newsletter, and let’s chronicle together! Also visit my Massachusetts Mom blog at Metrowest-Mamas.com. Over there, you’ll find recipes, and more activities! I used to be a certified aerobics instructor. I have run a marathon seven times. I’ve been a collegiate and masters synchronized swimmer, and a former associate in fashion retail. I’m a wife to a financial analyst, and a mom to a six year old and a three year old old. I’m also the owner of two dogs (one of which is blind and has diabetes!). Needless to say, it combines into a powerhouse of compassion, organization, connections, knowledge, experience, expertise, and professionalism in my new digital media career as a one of the top mom bloggers focusing on luxury fashion, travel and products for Moms that want live life and raise their children in practical luxury style. I’ve been a speaker at blogging conferences like Blissdom (2011, 2012), Bloggy Bootcamp (2011), Blog Better Boston (2012), SheStreams (2012, 2013), Eventbrite (2012) and Springboard (2012), Type-A Advanced (2013), All Baby & Child Spring Educational Conference (2013), PRSA Annual Meeting (2013) and Reviewers Retreat 2013. I was also featured by HTC at BlogHer ’11. I’ve also been quoted in the Boston Globe, Boston Herald, Huffington Post, been featured by Boston Moms in 2014, listed in the top 10 Boston Blogs to watch in 2015 and I have been on Fox 25 Morning News in Boston (August ’11, May ’12, November ’13). I’ve had articles featured posts on the Blissdom Insider, The Culture Mom, Quirky-Tech, Isis Parenting, Family Travel Magazine and Parents.com. I was also was a city editor at Savvy Source and a host on MomTV. I’m also a proud charter member of the Boston Parent Bloggers Network, as well as Mom Select, Clever Girls Collective, and Collective Bias. Most exciting is my role since 2012 with the Toy Insider on its Parent Advisory Panel. I’m currently an ambassador for the LeapFrog Mom Squad (2015). However, I have been an ambassador for Isis Parenting, Fidelity and VSP Global, and have had lots of review opportunities with Beaches Resorts, Steaz, Wendy’s, OshKosh B’gosh, BJs, Rustic Crust Pizza, Dr. Oetker Pizza Ristorante, Alka Seltzer, Scott Naturals, Stokke, Joovy, Bright Starts, The Motherhood, GE, Lawry’s, Lactaid, Smugglers Notch Resort, Sargento, HTC, Ebay, Seventh Generation, Minute Clinic, Ninja Products, Ridemakerz, TinyLove, Lactaid, Oral-B, Hass Avocados, Nordstrom Rack, UGG Australia, Leukemia and Lymphoma Society, and more. Here is one video I did for a brand! 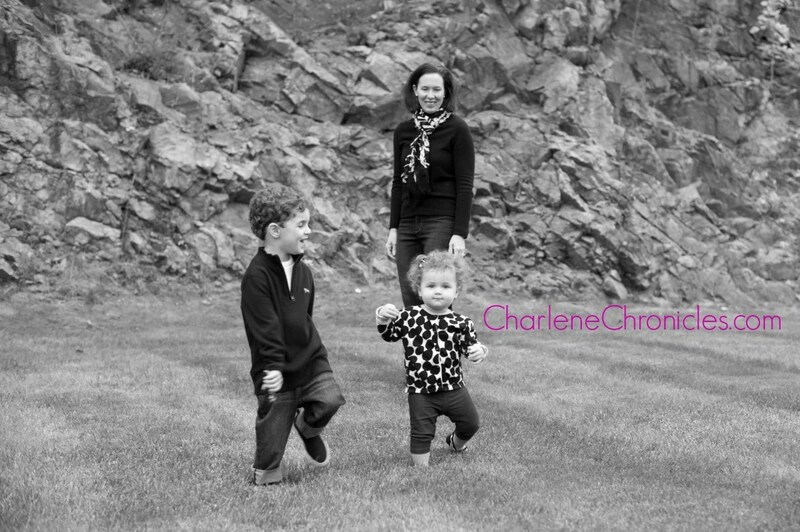 In addition to Charlene Chronicles, I also own Metrowest Mamas, a Massachusetts Mom blog for local family events and kid activity listings where she has a growing local connection and following. I’m also the co-founder and co-host of Blogger Bash, and I co-host the annual Sweet Suite and HoliDAY of Play events for the Toy Insider. I have over 15 years of experience working on health policy issues around the country. I was a project director for the Federation of State Medical Boards Foundation (FSMB), a non-profit organization to improve physician practice, the Assistant General Counsel at the Commonwealth Health Insurance Connector Authority (Connector) where I developed policy and implemented extensive reforms to the Massachusetts health care system. Prior to joining the Connector and the FSMB, I was the Director of Quality Assurance at the Board of Registration in Medicine, and the Chief of Staff and General Counsel for the Joint Committee on Health Care in the Massachusetts State Legislature. It particular, I provided analytic support for the Massachusetts Health Care Task Force (2000-2002), and Special Commission on Uncompensated Care (2002), as well as drafted leading legislative initiatives such as Managed Care Reform (1999), the creation of the Betsy Lehman Center (2001), statewide restaurant smoking ban (2004), and regulations relative to the Massachusetts Health Insurance Mandate. I also worked for a Boston-based risk management consulting company, for Harvard Pilgrim Health Care and yes, I have worked at THE White House. The one place I have always wanted to work, but have not had the opportunity, is for Disney. The closest I’ve gotten is being in the final round (three years in a row) for the Disney Mom’s Panel. One can still dream, but I was honored to attend three annual Disney Social Media Conferences and two press events, including the opportunity to create this video with Disney! In addition to my law degree, I have degrees in Economics and Political Science. I’ve served as a class officer for her undergraduate alma mater, the Vice Chair of the Legislative Subcommittee of the Boston Bar Association Health Law Section, the Board of Directors for the Coalition for the Prevention of Medical Errors, the Massachusetts Physician Credentialing Task Force, and is a member of the Massachusetts Bar, Washington D.C. Bar, and the United States District Court Bar of Massachusetts. If you would like to sponsor me or learn more about working with me on your next campaign, party, giveaway, or ambassadorship, contact me directly by phone at 617-237-6795, via my contact form, or by email, which is at charlene(at)charlenechronicles(dot)com. Please review this site’s editorial guidelines before contacting me though. I have reach and therefore I have rates! Which are reasonable! So let’s try to chronicle something together!